‘Ecovillages Around the World‘ explores stories of pioneering efforts worldwide by communities working to incorporate social, ecological, economic, and cultural sustainability. We travel to Australia, Ireland, Palestine, India, Brazil, Egypt, Fiji, and many other locales where ecovillages are helping to improve lives. We learn how ecovillages can help address our most pressing issues while offering hopeful models for the present and future. 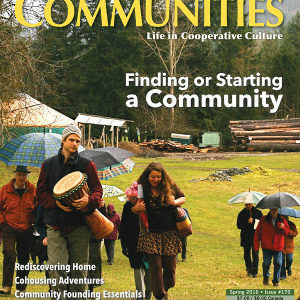 This issue was produced in association with Communities magazine and the Fellowship for Intentional Community (FiC). Overcoming Apartheid—the Global Ecovillage Network by Kosha Anja Joubert Communities worldwide are exploring how to heal our separation from each other and the natural world. The Global Ecovillage Network: Focal Point for a Global Movement by Ross and Hildur Jackson Two pioneers of the ecovillage movement tell their story. 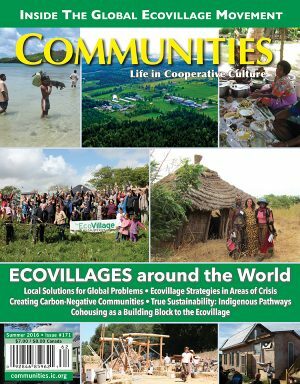 Ecovillages Worldwide—Local Solutions for Global Problems by Leila Dregger A wide array of ecovillages throughout the Global North and South address our shared challenges. 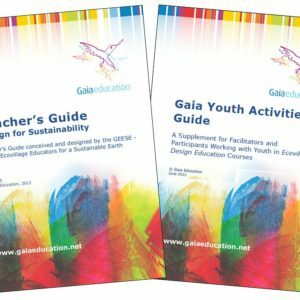 Ecovillage Strategies in Areas of Crisis by Leila Dregger and Sarah Queblatin Emergency situations around the world have brought together activists, experts, and teachers to offer ecovillage-inspired solutions. Creating Carbon-Negative Communities: Ecovillages and the UN’s New Sustainable Development Goals by Rob Wheeler Diverse ecovillages are modeling how to create more just, equitable, and sustainable human societies. Collective Healing by Kosha Anja Joubert and Stephen Busby—Interview by Robin Alfred Communities become powerful microcosms for trauma—and its potential healing—in the wider society. Learning in Ecovillages AND Getting a College Degree by Karen Stupski and Giovanni Ciarlo Pursuing holistic education through ecovillage immersion experiences can be both challenging and rewarding. An Inspiring Journey in Ecovillages by Nébesna Fortin From La Cité Écologique to NextGEN, a young ecovillage activist completes the circle. The Bridge to a Greener World by John Ahern This Australian community’s bridge is a lot more than just a bridge. 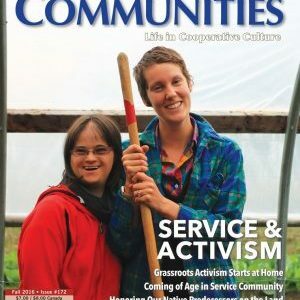 Yarrow Ecovillage: Cohousing as a Building Block to the Ecovillage by Charles Durrett and Katie McCamant A Canadian community pioneers ecovillage zoning while incorporating both intergenerational and senior cohousing. 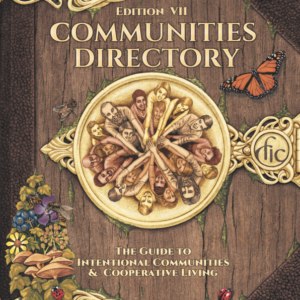 Want an Ecovillage? Stay Put! by Abeja Hummel How can we care for a place if we’re not there, day after day, year after year, paying attention? Land and Culture Collaboration by Tom Shaver Emerald Earth Sanctuary explores how to engage constructively with its northern California ecosystem. Cloughjordan Ecovillage: Modeling the Transition to a Low-Carbon Society by Peadar Kirby Irish ecovillagers achieve the smallest ecological footprints recorded in their country. True Sustainability: Indigenous Pathways by Dan Schultz At Maitreya Mountain Village, mainstream pragmatism meets radical idealism. Building an Ecovillage in the Friendly Islands by Philip Mirkin Fiji Organic Village embodies the challenges and joys of cross-cultural community. Argentina: 13-Day Wavespells at Velatropa by Henny Freitas Self-managed by students and travelers, an innovative ecovillage nestles in a corner of Buenos Aires. The First Ecovillage in Palestine by Frederick Weihe A West Bank town of about 1500, Farkha predated the term ecovillage, and is now recognized as one.